Ahead of the release of their highly anticipated second album Softie (Set to arrive on April 30th), Swedish indie-pop duo Wy have just unveiled another gorgeous song titled Tired II. This is yet another bold, spellbinding piece of indie-pop music with shimmering guitars, emotive vocals, groovy synths and electronics. I am loving those emotive vocals and the retro vibe of the song, taking the listener to the golden era of 80's pop music. 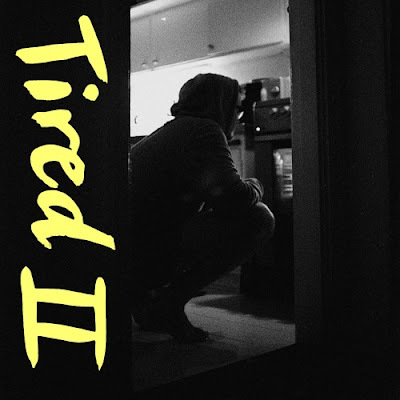 If you're into anthemic pieces of indie-pop music then you will love Tired II. To accompany the release the guys unveiled a deeply personal video, which was directed by the band's singer Ebba and features both herself and fellow member/lover Michel. Watch it below! We filmed it during the fall and winter of last year, which was a really tough time for both of us. I had a job that was killing me, we broke up with our current record label, we fought with our friends, we were forced to leave our apartment and cancel our tour. It was just a lot at the same time. We came up with the idea because we wanted to balance out the drama of the song with something simple and personal, and because of the circumstances the video became really important to us. I get very emotional when I watch it because this is the first time one of our videos is showing Michel how I see him, and how he sees me.